The EInsert extension is implemented as a Custom Overlay. The EInsert extension allows you to attach a scalable image to the map. The extension scales the image as the zoom level changes. draw small complex boundary lines or tracks in a way that runs faster than polylines, and is easier to implement than a custom maptype. add detailed plans of individual facilities. Create a suitable image. Transparent PNG format is particularly suitable. Animated GIF format is not suitable. Include a copy of the "einsert.js" file. Please take your own local copy, don't hot link to my copy of the file. Use map.addOverlay() to add them to the map. 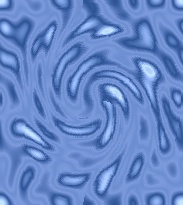 I used an image processing package that supports layers, and drew the "Hawking Way" graphic on one layer with a copy of the satellite imagery on another layer. EInsert assumes that the image can be used with the AlphaImageLoader in IE, so avoid file formats that AlphaImageLoader can't handle, such as animated GIF. Make a note of the dimensions of the image and the zoom level it was created to match. A GLatLng() specifying the location of the centre of the image. A string containing the URL of the image. A GSize() specifying the size of the image. A number specifying the zoom level on which the image is to be displayed at full size. (Optional) zindex and pane control value. Use -1 if you want this EInsert to be placed below any polylines and GTileLayerOverlay()s.
use 0 if you want this EInsert to be placed above any polylines and below any GTileLayerOverlay()s.
Use 1 if you want this EInsert to be placed above any polylines and GTileLayerOverlay()s.
Use other values to place one EInsert above or below another. 4. Use map.addOverlay() to add them to the map. And use map.removeOverlay() if you want to remove them. map.clearOverlays() will also remove all the EInserts as well as any markers and polylines. The insert.hide() method makes the EInsert invisible. The insert.show() method makes the EInsert visible. The insert.isHidden() method returns true if the EInsert is hidden. The insert.supportsHide() method returns true, indicating to the API that EInserts support hide(), show() and isHidden(). The insert.getPoint() method returns the position of the EInsert. The insert.setPoint(latlng) method moves the EInsert to a new position. The insert.setSize(gsize) method changes the size of the EInsert. The insert.setImage(url) method changes the image of the EInsert. The insert.setZindex(a) method changes the zIndex of the EInsert relative to other EInserts. EInserts are placed below the markers and info windows. You can click, double-click and drag parts of the map that are underneath EInserts. You don't need to keep a reference to your EInserts unless you want to removeOverlay() them, hide() them or change their properties. An easy way to place your EInserts in the correct place is to make them draggable. EInserts work under the Open Source MarkerManager. The Open Source MarkerManager can be obtained here http://code.google.com/p/gmaps-utility-library-dev/wiki/Libraries. MarkerManager can manage EInserts in the same way that it can manage GMarkers.